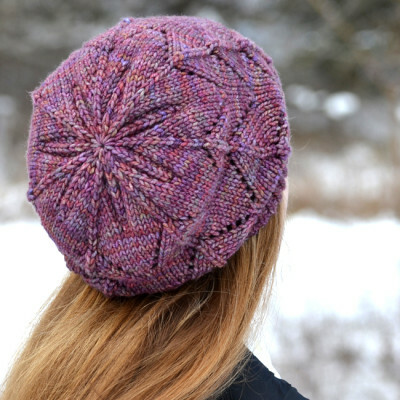 Inspired by the last, lingering flowers before heavy snowfalls arrive, the Frosted Primrose Hat features a gracefully curving stitch pattern paired with an accelerated decrease at the crown that creates shaping reminiscent of a single primrose in bloom. One Size. 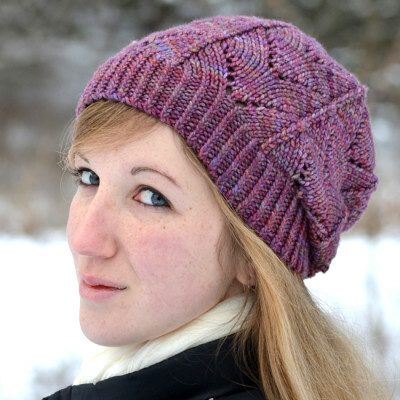 Hat fits an adult head size of approx 21” – 24” (53.5 cm – 61 cm). The pattern is charted, but also includes complete written directions so the ability to read a chart is not necessary to work this pattern. Using larger-sized needles, 20 sts/24 rnds to 4” x 4” (10 cm x 10 cm) in stockinette stitch, blocked. 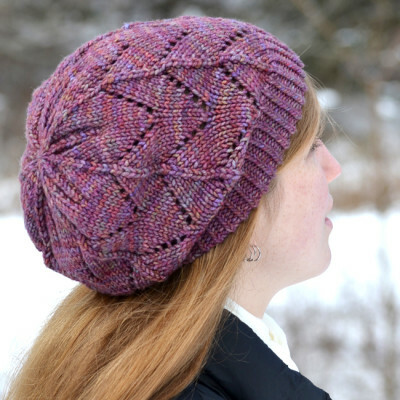 Gauge is critical on this project as it uses nearly an entire skein (of MadTosh Tosh Chunky). The stated gauge is a BLOCKED gauge, so if you are getting this gauge UNBLOCKED, you may need to go down a needle size or risk running out of yarn. If you are a loose knitter and don’t always check gauge, I encourage you to do so on this project or use a smaller needle size to start. Hat is worked in the round from the bottom up. 150 – 160 yards (137 – 146 m) of aran weight yarn. A yarn with good stitch definition and little to no halo is recommended. (Although Madelinetosh Tosh Chunky is called “chunky”, it is really an aran weight yarn, not a bulky yarn. 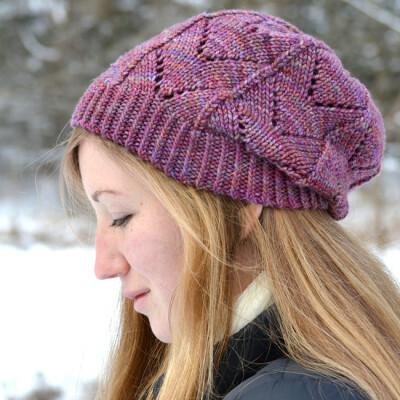 This pattern is NOT written or intended for a bulky weight yarn.) 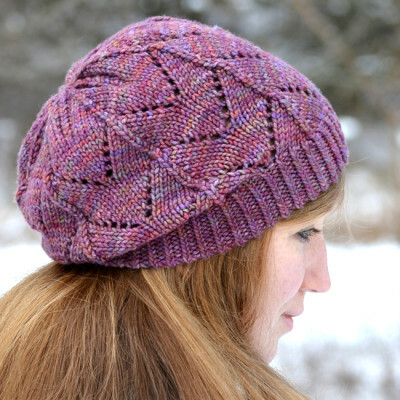 Tonals will work, but highly variegated yarn may distract from the lace pattern.